During a presidential debate last month, Donald Trump said that if he were elected, he would ask his attorney general to appoint a special prosecutor to investigate Hillary Clinton's use of a private email server. 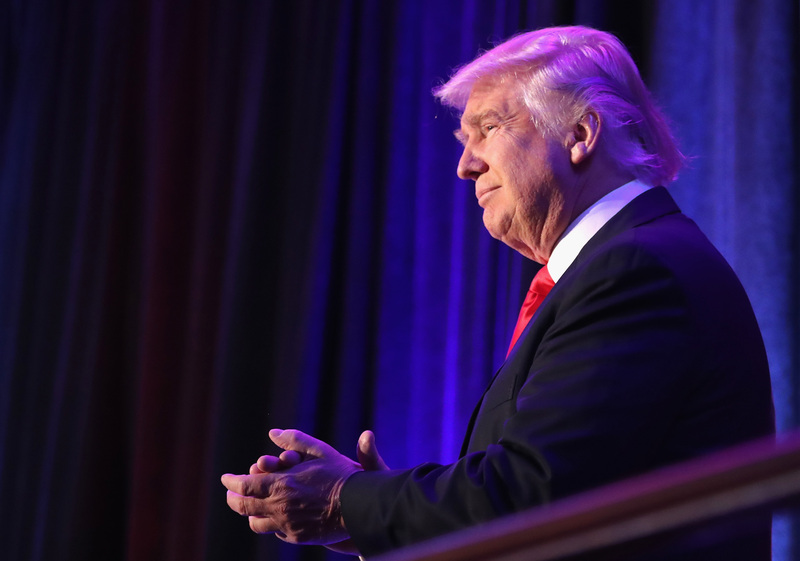 Now that Trump has become the president-elect, is a special prosecutor still on the cards? His campaign manager, Kellyanne Conway, told MSNBC that such a possibility hasn't yet been ruled out, despite the fact that the FBI and its director, James Comey, have already decided not to press any charges. Any discussion pertaining to whether or not the Trump administration will appoint a special prosecutor for Clinton will take place "in due time," Conway added. However, “we didn’t discuss that last night and he did not discuss that with Hillary Clinton on the phone,” when she called Trump to concede the election to him, Conway explained. According to the campaign manager, Trump and Vice President-elect Mike Pence's main priority at the moment is to "unify the country," while the issue of the special prosecutor will be explored later on. However, while the election cycle was still in progress, Conway was not so ambiguous about the issue: “As for the special prosecutor, I think that’s Donald Trump channeling the frustration he hears from thousands of voters out on the stump every day,” she told MSNBC following the debate. At that same debate last month, Trump went so far as to say that he would see his opponent put "in jail" if he were president. If he were to pursue that course of action, the process would be quite extensive, according to The Washington Post. After appointing a special prosecutor, the prosecutor would have to agree that Clinton's use of a private email server constituted criminal activity. If Clinton ended up being charged, she would receive a trial, at which point the prosecutor would have to confront the original evidence that a team of federal investigators found insufficient in determining whether or not a crime had taken place. It would not be difficult from Trump to set off on this path if he so chose, given that he decides who he wants to appoint as his attorney general. However, according to The Washington Post, President Obama could also prevent any of this from happening by officially pardoning Clinton before Trump's inauguration in January. During his victory speech in the early hours of Wednesday, Trump did not mention Clinton's emails or his threats of appointing a special prosecutor. Instead, he congratulated the former secretary of state for having "worked very long and very hard," and she in turn said in her concession speech Wednesday morning that she had offered to work with him moving forward.